Audio recording software demo and suggestions. Since it's targeted to beginners, I would like to explain you a story called "recording software helps you win the hearts of more cash-paying customers". 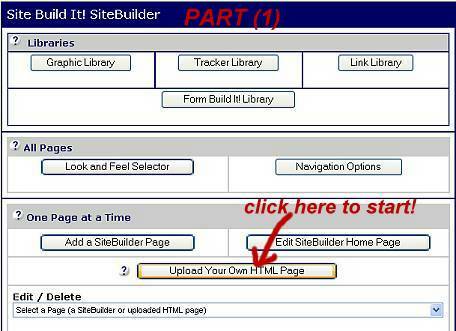 What you may not realize it has many helping possibilities, simply start now for adding your voice to your web site. You’re just one click away from smartest ways that audio recording software increases your response rates. Let people learn through your voice, or the voice of a professional speaker. Instead of letting them read your lessons, let them hear them. That how they like to learn most. And that's why "distance learning" companies like Nightingale-Conant are successful in building multi-million businesses with the power of the human voice! Picture how excited your readers will be when you'll place that extra touch to your FAQs, About Us pages and ...any other page you can think of. The first thing you need: oh yes, an audio recording software! If you desire so, you can take a look at Total Recorder FAQ by clicking here. Well the first one "Total Recorder" allows you to register your voice. You'll obtain a "WAVE" file and its extension is .wav (wave is a big-size file). You need another free program to convert the first .wav file (your voice) into another one. It'll be smaller that the original file. The last one will be a ".WMA" file (W = Windows M = Media A = Audio). It has a small size than the first one, so it'll be very fast to upload. It also means you'll reach your purposes cause all your visitors will be able to listen it. O.K. 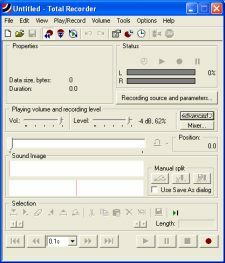 you have created your audio files by using these free audio recording software... Now? 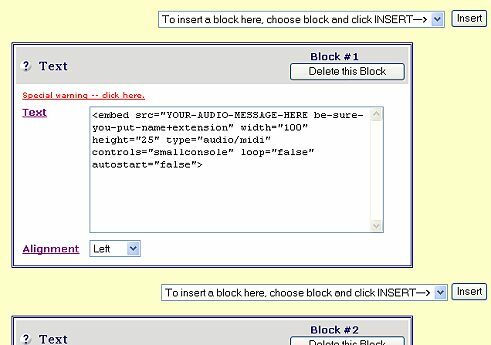 How can you make your web site talks by using your audio recording software? It's simple.. Follow my easy steps! 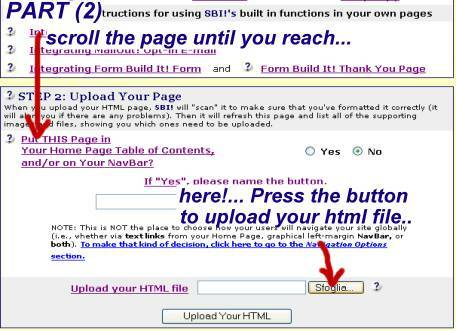 First you need to upload the last converted file into your web host/space, where you normally place all your html pages & files (detailed instructions for an SBI user are on bottom). 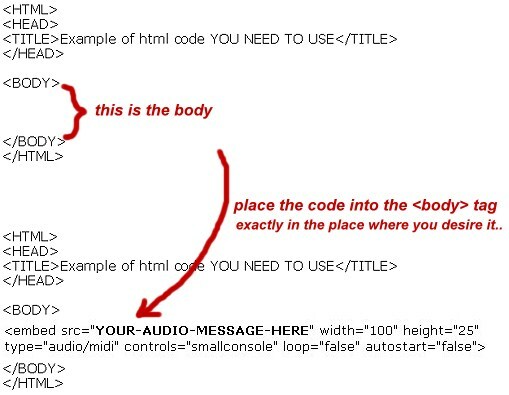 The special code that suites your purposes is the "EMBED" tag. By using it you can talk to your web site visitors. 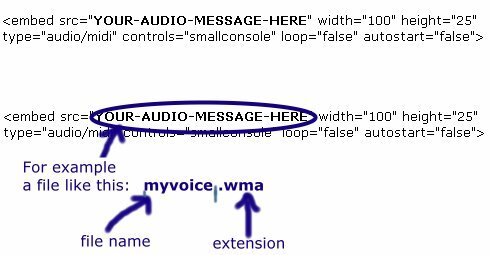 ..Be sure you'll replace "YOUR-AUDIO-MESSAGE-HERE" with the same name of your uploaded audio-file. Problems? Are you thinking it's too hard for you? You need to upload your last converted audio file into SBI space. Important: your windows media audio file ".wma" needs to be uploaded into an appropriate SBI-folder called "media-files". ..how can you do it? :-) follow me of course! 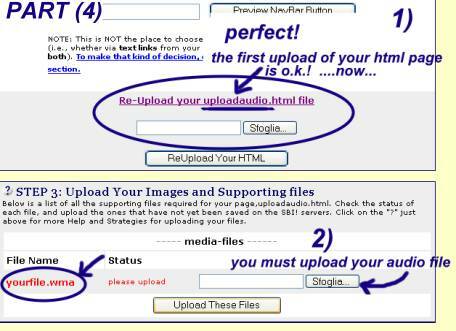 To let SBI allows you to upload it you must use a fake-web-page.. :-) and relax, I'm here to help you! copy my code above & paste it into your notepad blank-page. You'll save this file as "uploadaudio.html". Create an empty folder with this name: "media-files". I suggest you to place both your fake web page and the new folder on your desktop (it's more comfortable to use). Take care of the folder name on your desktop. It must be "media-files", as the original folder into your SBI-web-space (SBI needs it!). Obviously it will contain all your audio files (.wma created by you). Don't click on the "BUILD IT" button. You don't need to build this page cause it's a fake document only. Remember you need it to upload your media-files. Now you can use your audio file every time you desire it by placing the special "embed" tag into your Solo Build It editor.